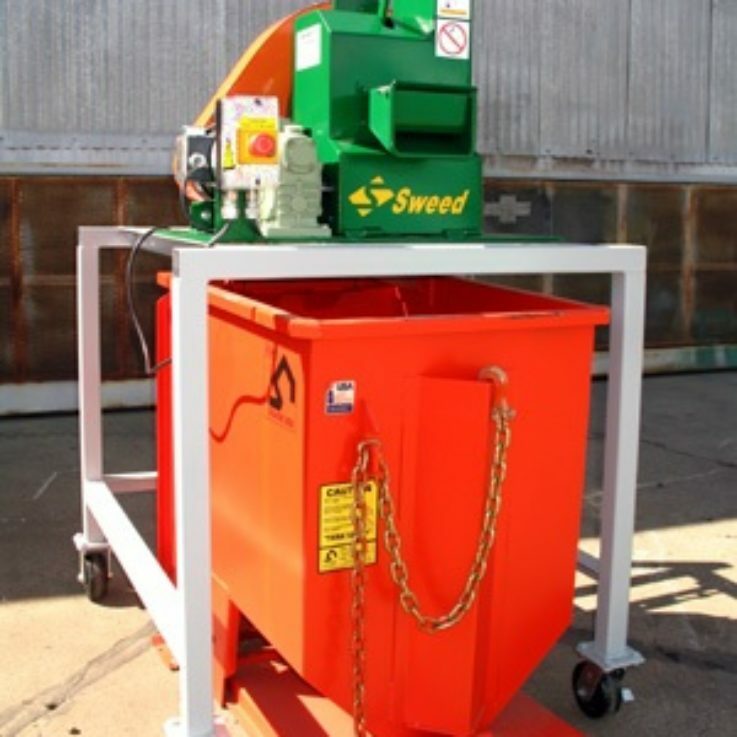 What is a Sweed Chopper CE510XHD used for? The CE510XHD Banding Chopper is ideal for most waste banding applications; it is a compact and powerful machine suitable for handling large quantities of Thick Steel Banding, Saw Blades, Tubing and Extrusions. The chopper takes the banding in automatically at a rate of 0.5m/sec producing a 75mm long piece of chopped strapping to enable efficient and cost effective recycling by reducing volumes by up to 20:1! The CE510XHD is safe and easy to use, requires a 3-phase power supply and has an ‘on’ and ‘off’ button. CE510XHD Banding Choppers are available to purchase or hire.